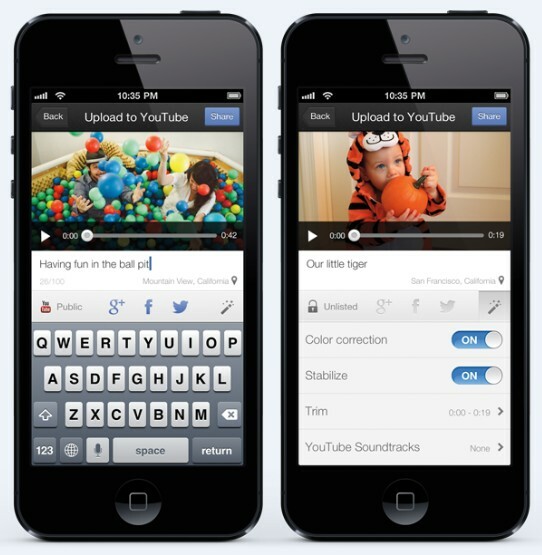 Google announces YouTube Capture app for iPhone and iPod touch devices. The app allows you to film and share videos instantly with your friends. To speed up recording, enhancing and sharing videos with your friends or the whole world, you can now use the YouTube Capture app on your iPhone. 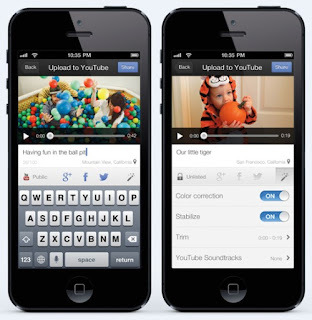 YouTube Capture for iPhone is ready to record as soon as you open it. When you're done filming, write a caption, select which networks you want to share to. Touch it up easily with YouTube enhancements like color correction and stabilization, or trim the length and add free background music from YouTube. These enhancements are also available on existing videos on your device, and you can always undo enhancements later on YouTube.com.